Navachetana Microfin Services Pvt. Ltd. has established a systematic grievance redressal mechanism to monitor its operations in all its areas. We have set-up a dedicated Toll Free helpline number, i.e.18004252579, to address any grievances / queries/ requests raised by our members. The helpline number is managed by a dedicated officer who is part of the Grievance Redressal Cell (GRC), which is based at our Head Office in Haveri. Apart from our Toll Free number, we have established various other ways through which complaints can be registered. 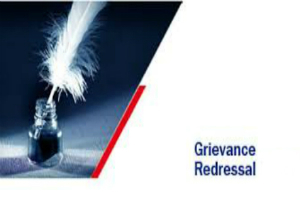 We have formulated a very detailed and clear Customer Grievance Redressal Policy to manage the grievance redressal process, which clearly establishes the different mechanisms of grievance redressal like channels for receiving complaints - complaint boxes, toll free number, e-mail id , redressal process; escalation process etc. and also clearly defines responsibilities and timeline matrix for the resolution of grievances, requests or queries. Navachetana Microfin Services Pvt. Ltd’s Grievance Redressal Cell has also started to call its members pro-actively reach out its clients to check their satisfaction level and if they have any requests, complaints or suggestions. Navachetana Microfin Services Pvt Ltd.